How is it, some may ask, that a Broadway musical so American in its setting, humor, and style would come from such British theatrical stock? 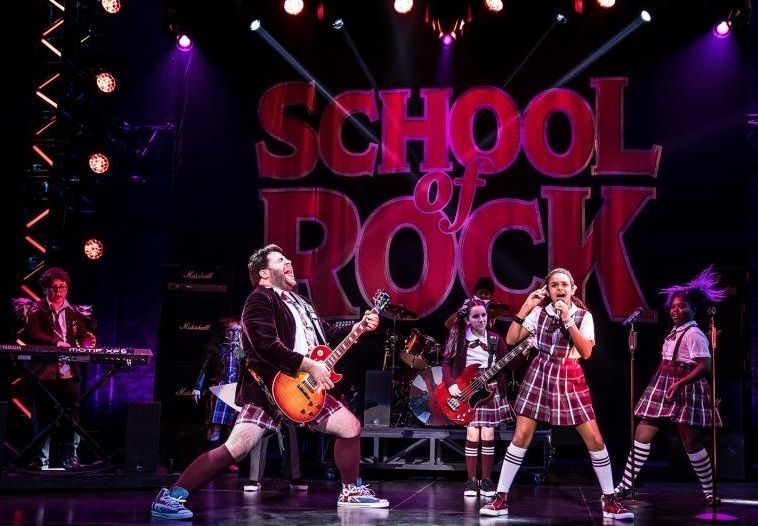 Those who follow theatre may already know, but many who turn up for School of Rock The Musical based solely on how much they enjoyed the 2003 movie of the same name may be in for a surprise. Once they flip through the program, they’ll find that the show is an Andrew Lloyd Webber production. It was Sir Andrew’s wife, Madeleine, better known as Baroness Lloyd Webber, who, after a six-year chase, finally secured the rights to the show in 2012. Sir Andrew then wrote the new score plus the show’s orchestrations, while the book was handed to Julian Fellowes, also known as Baron Fellowes of West Stafford, the man most famous for creating and writing TV’s ode to England’s privileged culture and the staff who serve it, Downton Abbey. On reflection, it seems such an unlikely marriage of talents that members of Britain’s parliamentary House of Lords should be the ones to tell an American tale of a pretend substitute teacher who regularly gets the Led out and turns fifth-grade prep school students into rock ‘n rollers, but that’s how it was done. 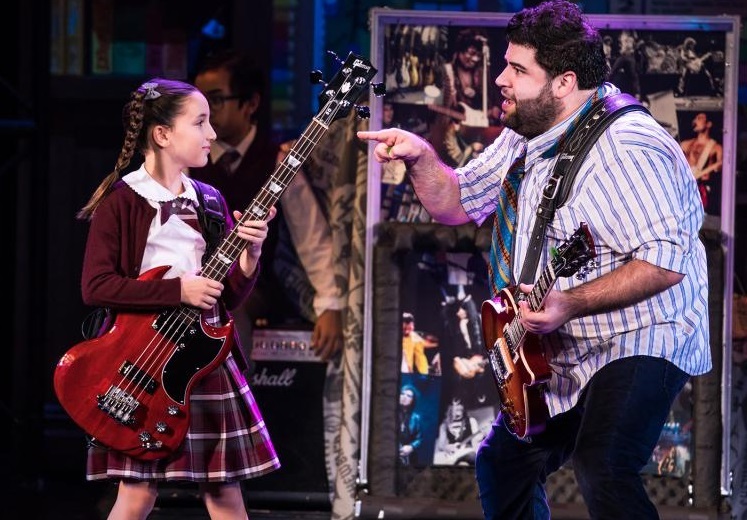 For the record, while the national touring production of School of Rock The Musical may be in town for the first time since it began the tour last year, the show actually played earlier at Glendale’s Spotlight Youth Theatre. In an unusual, though interesting step, the rights to the show for youth productions around the country opened before the musical had its Broadway premiere, and Spotlight took advantage. School of Rock The Musical, which continues in performance at ASU Gammage in Tempe until Sunday, June 19, follows the overall plot of Mike White’s original screenplay but ups the rock ‘n roll quota, suggests an eventual romance between the slovenly lead and the uptight prep school principal, and concentrates more on the kids in the class and their relationships with their parents. And it’s a genuine, unadulterated, crowd-pleaser. Like Rosalie Mullins (Lexie Dorsett Sharp), the principal at the Horace Green Prep School who lets her hair down at the sound of Stevie Nicks on the jukebox, it’s as if Lloyd Webber has done the same, let it all hang out and shaken aside the memories of several flops that have plagued the latter days of his otherwise outstanding career. He’s having fun. At one early point during a brief classroom audition process, one of the students begins a few lines from Lloyd Webber’s Memories from Cats. The song is quickly shut down, making what was seen in the movie version even funnier in the show. In keeping with the musical’s humor, Lloyd Webber just punctured his own reputation. The impresario of musical theatre himself is used in the show. Listen closely at the recording at the beginning and you’ll hear Sir Andrew let you know emphatically that all the kids you’re about to see really do play their own instruments. 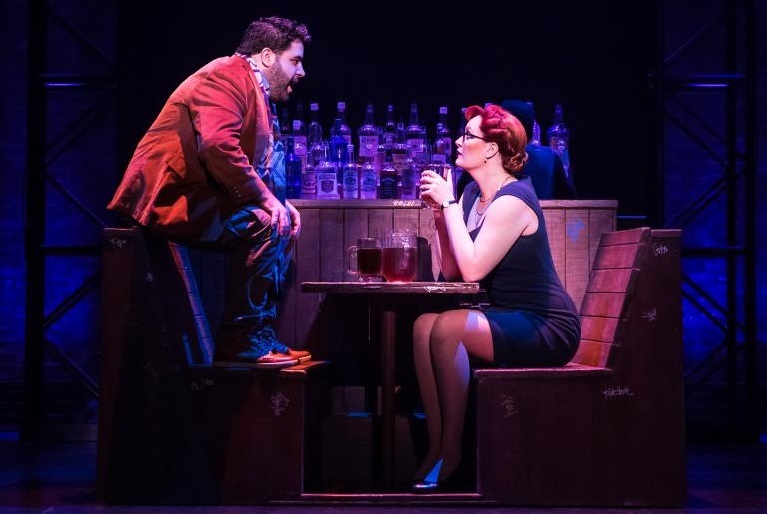 If the performance you attend at Gammage was anything like opening night, there’ll be a roar of approval from the audience as loud as the applause following the songs. The plot is really a thin-based story not far removed from the old-fashioned let’s-put-on-a-show tale where fraudulent substitute teacher, Dewey (Merritt David Janes) discovers that his fifth-grade class can play musical instruments. Sensing a way of winning a rock ‘n roll contest, Dewey has his class swap their classical instruments for electronic ones, teaches them how to rock, ignores the school curriculum, hands out Jimi Hendrix CDs as homework, and has the students rehearsing all day for the contest. When Dewey starts the audition process and has his class substitute marching cymbals for rock ‘n roll drums, cellos for guitars, and piano for the organ, complete with backup singers and a classroom band manager who’s in charge “of the whole damn thing!” both the music and the comedy reach giddying heights of delight that should have you beaming and applauding after each mini solo. The sight of prep school uniformed ten-year-olds holding instruments almost bigger than they are is in itself funny, but once that drummer emerges from behind his drums and suddenly knocks out a killer solo, followed by a pulsating electronic bass and two backup singers bursting into Lou Reed’s Walk On The Wildside chorus, you’ll be hooked. The whole thing is so infectious, and infectiously funny, you’ll find yourself not only caught up in the plot’s overall silliness, you’ll probably home in on a well-defined favorite character. Throughout the tour, the lead role of Dewey is billed as being played by Rob Colletti. On Tempe’s opening night, the role was played by Merritt David Janes, billed in the program not as an understudy but curiously as playing Dewey at certain performances. Evidently, opening night in Tempe was one of those certain performances. The character was originally developed on the screen for Jack Black. No matter who you’ll see playing the role and bringing something of themselves to the microphone, eventually it’s Black you’ll see in the movements and Black you’ll hear in the dialog, and that’s perfectly fine. No one needs to bring their own interpretation to the character when the characteristics are already so well defined. Plus, the way the part is written in the musical, Dewey may be the show’s lead but it’s a lead that never oversteps the mark and hogs the spotlight away from the kids. While the film acted as a vehicle for its star, the musical is an equal opportunity spotlight hogger; everyone gets their moment front and center. Theodora Silverman with her dead-pan, rock ‘n roll face, is irresistible as Katie, the cellist turn bass player. The show is also extremely funny. When young Summer, the classroom brain (Iara Nemirovsky) tries to sing during the audition process, Dewey stops her from damaging eardrums any further and declares at full volume, “I don’t know what that was, but I never want to hear that again!” When talking rock ‘n roll musical influences and one child declares that for him it’s Barbra Streisand, Dewey responds with a guttural, “What? Nooooooo!” And when the principal makes an impromptu classroom visit and interrupts a rock rehearsal, Dewey, always prepared, immediately breaks into a lecture on Einstein’s relativity equation, the one where E equals MC… er, double. 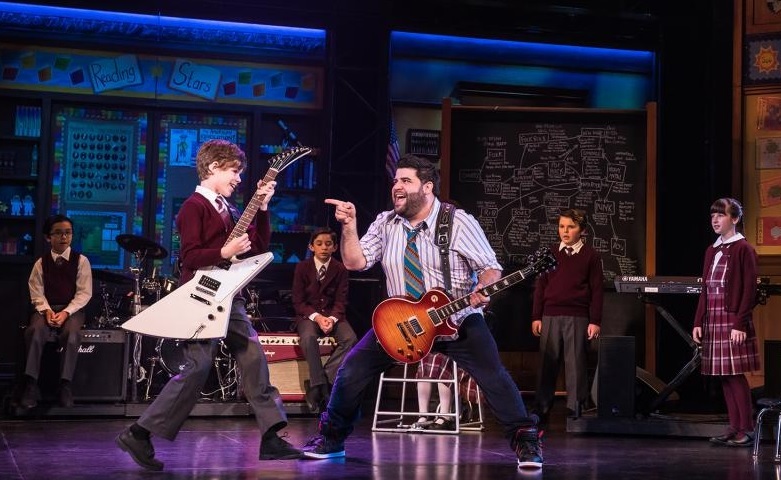 But despite the mechanics of the plot, it’s the music and who’s doing the playing that will have you enjoying School of Rock The Musical the most. 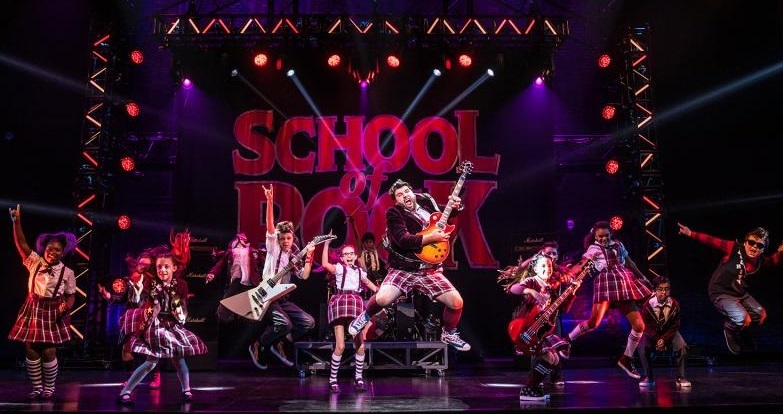 During the climactic contest where Dewey’s talented fifth-graders don their costumes and play their instruments – where the frantic keyboard playing brings the house down and the pint-sized guitarist breaks into Chuck Berry’s duck walk, plus some Van Halen screaming guitar-solo knee slides – you may notice, as audiences did on opening night, members of the orchestra stand alongside the show’s conductor at the foot of the stage, clapping and cheering on those young musicians before them. 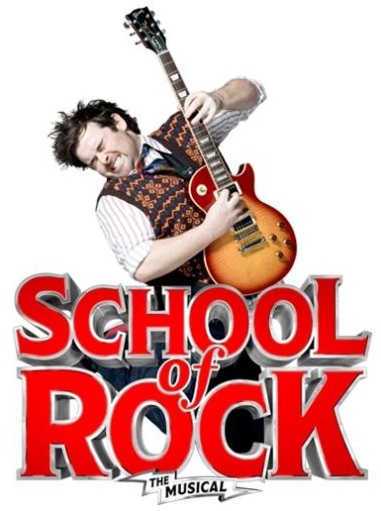 When even members of the show can be seen actively encouraging and applauding fellow performers, it’s clear, School of Rock is a funny, loud, raucous show that can be enjoyed by everyone; parents, kids, the touring company’s orchestra, even some prominent Right Honorable Members of Britain’s House of Lords. And no matter the outcome of the climactic Battle of the Bands, it’s the musical that wins you over; no contest.